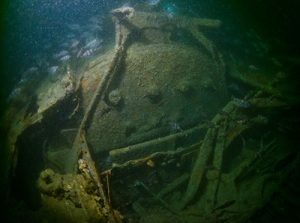 HMT Arfon has been in the news recently, the wreck having been identified off Dorset by Martin, Bryan and the team at Swanage Boat Charters. It subsequently became the 52nd site to be designated under the Protection of Wrecks Act 1973 (https://historicengland.org.uk/whats-new/news/Arfon-Wreck-Protected) meaning that a licence is required to dive the site. Ten of the Arfon’s 13 crew were killed when the vessel hit a mine while minesweeping in April 1917 and they have now been added to a new Community on the Imperial War Museum’s ‘Lives of the First World War’ digital memorial. The Maritime Archaeology Trust’s HLF Forgotten Wrecks of the First World War project has created the Community and hopes that relatives of the Arfon’s crew, a number of whom are known to exist, may be able to add to the crews’ Life Story pages, with photos and information. In May of this year, MAT divers were excited to be able to join Swanage Boat Charters for a dive on the wreck of the Arfon. We were able to assist with taking survey photographs of some of the fascinating features, fixtures and fittings on this well preserved site. Unfortunately, the conditions were not quite clear enough to gain the photographs needed for producing a full 3D model of the site on this occasion. One of the most important archaeological sites in the country may never reveal its secrets because of a lack of funding. Time is running out and this 8,000 year old site is being washed away before our eyes, but without the funding archaeologists are powerless to stop the march of time. Help save Bouldner before it’s too late! 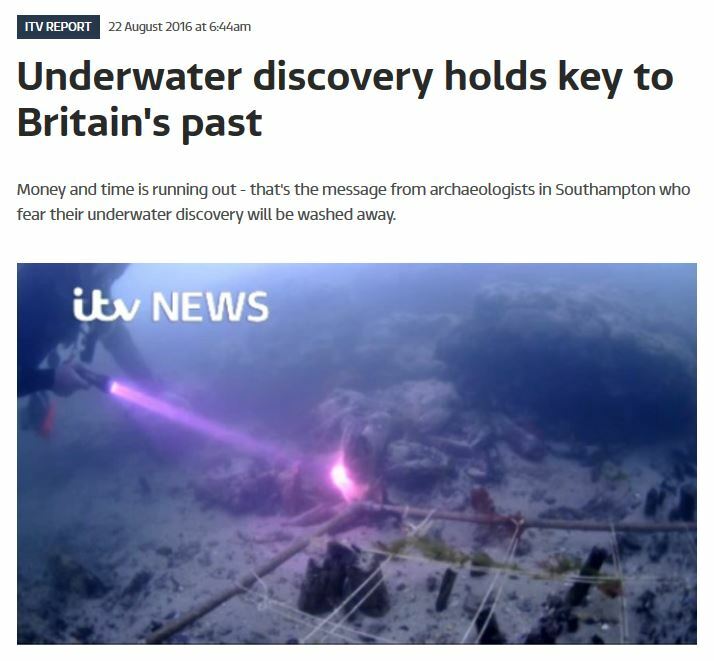 ITV News reporter Chloe Oliver highlights the problems faced by the Maritime Archaeolgy Trust at Bouldner Cliff, near the Isle of Wight. Read Chloe’s article and help save the past for the future.